﻿Four years after the end of World War Two, Wagga Wagga was still experiencing a degree of postwar poverty, but the general outlook was one of optimism. 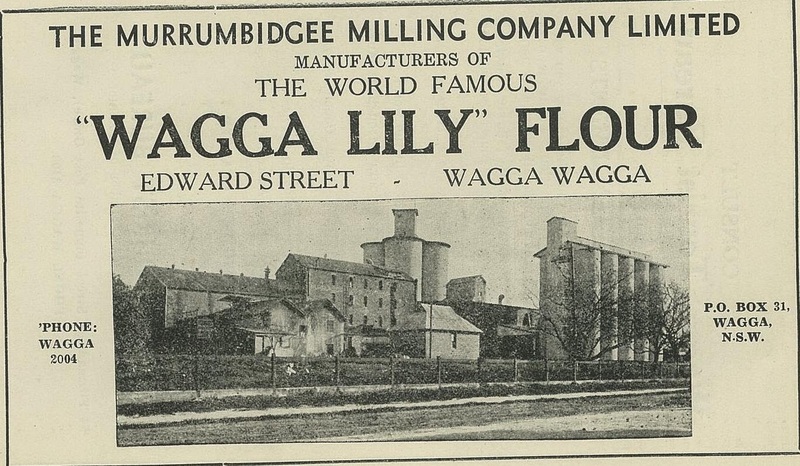 Wagga Wagga promoted itself as an industrial hub in a number of manufacturing areas such as metal, timber, dairy and flour. 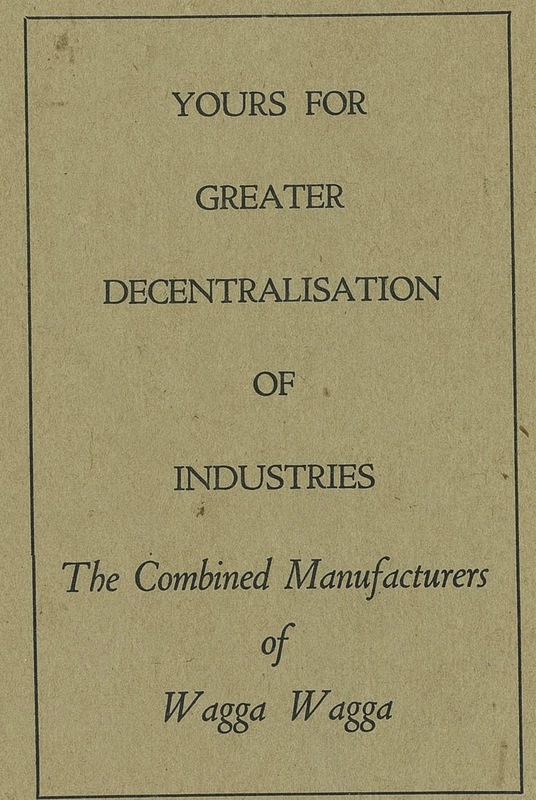 Still recovering from the food restrictions imposed by rationing during the war, (rationing for butter and tea wasn't abolished until 1950) the city never the less looked forward to an economic boom time. 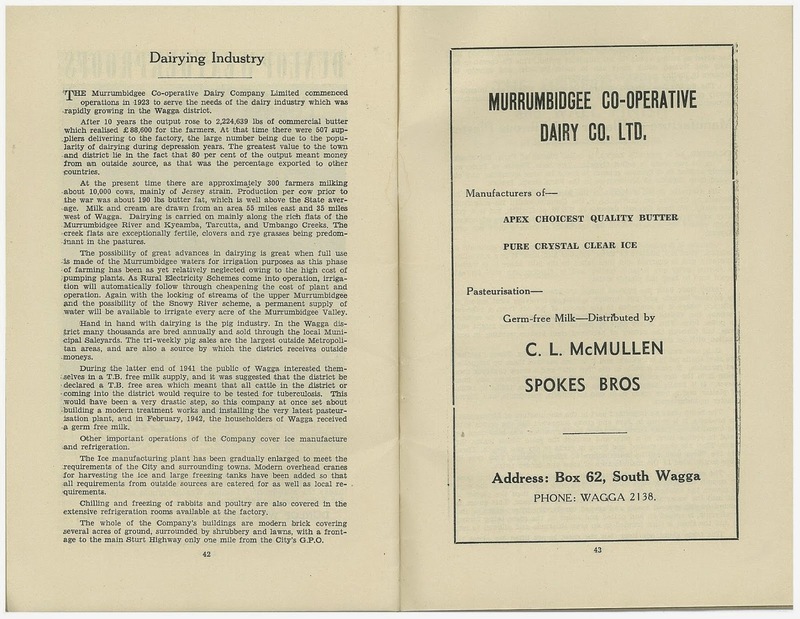 A group of local businesses calling themselves "The Combined Manufacturers of Wagga Wagga " pooled their resources, and using the traditional community enthusiasm for a new year and a fresh start, published a leaflet advertising and extolling Wagga Wagga as a provider of employment, quality goods and services, as well as appealing to the rural and pastoral element with references to a golden era of farming in the area. ﻿The people of Wagga Wagga had seen in the new year with many celebrations in the form of dances, theatre and general carousing in the streets - 1949 was also the year Thena Karofolis was crowned Miss Wagga (she also held the title of Miss Cafes) . The Daily Advertiser had estimated that ten thousand people filled central Wagga Wagga's streets singing and dancing, and this crowd was added to when theatres and movies ended, the patrons joining in the general celebrations. At midnight the crowds gathered round the Court House and sang Auld Lang Syne. Economically progressive Wagga Wagga was ready to tackle another year, moving further away from the difficult war years. 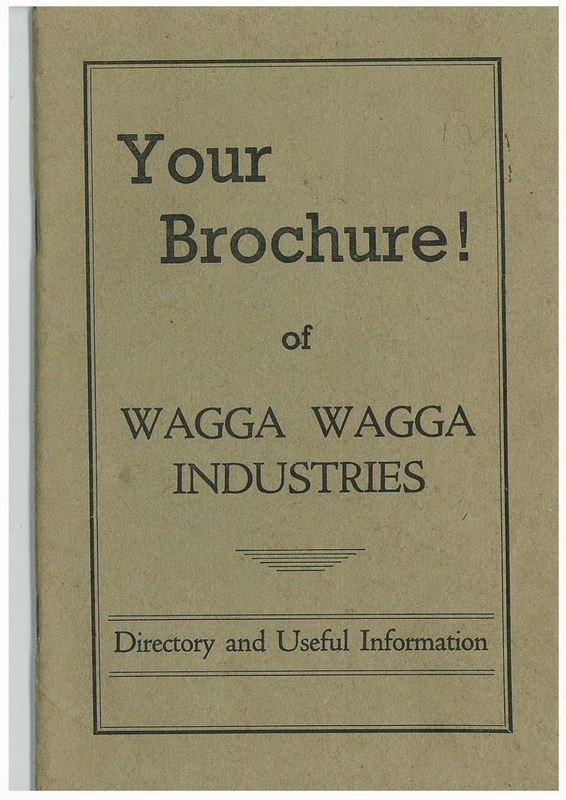 The Wagga Wagga Industries Directory will soon be available to view within the library ! Come into the library and check out the local history section and just come to the loans desk to ask about viewing this and other material from the local studies collection.